Whichever way you look at it, there is something magical about a wood heater. It creates a cosy atmosphere in a house and can even be used as mood lighting on a romantic evening. Here ate Hawkesbury Heating, we take our wood heaters very seriously. We never compromise on quality and standards. We also take our commitment to protecting the environment equally as seriously, making sure all our wood heaters meet standards regarding emissions and efficiency. Waste not, want not right? 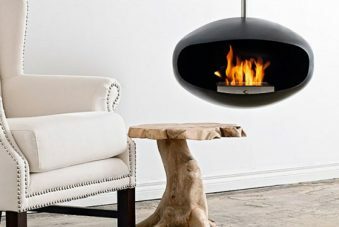 This is an exquisite fireplace that is designed to meet all your heating needs. It is large with a sizeable viewing glass measuring 79 centimetres by 31 centimetres. Without a fan it is capable of easily heating 100 square metres if space and this area doubles when a fan is fitted. It comes as standard with single draft control with airwash and a removable door handle tool. Options include black four-sided fascia and slimline finishing trims. If you are looking into an inbuilt wood fireplace, look no further than the Lopi Flush Wood Medium. It comes with the latest in Lopi insert fireplace technology. In terms of looks, it offers four faces including the Shadow Box, Cypress, Metropolitan and Universal. 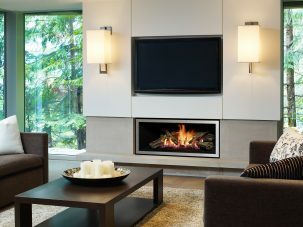 This fireplace insert is capable of heating up to 250 square metres of space with a burn time of up to 10 hours. The heavy steel construction and firebrick lined firebox make it very durable. It has a 65% efficiency rating and has very little emission at 1.5 grams per kg of wood. This fireplace insert has a smaller and a larger version. Like all regency products, this one was made with design in mind as well. It is ideal for large homes, as it comfortably heats up to 250 square metres of space. It comes with single rod draft control and Bakelite handles which are very strong. The steel firebox has a cast iron lining and a firebrick base. 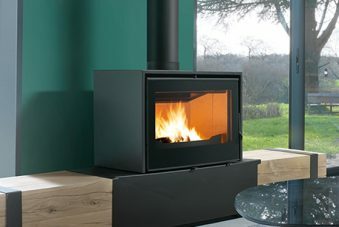 The efficiency rating of the Regency Bellerive is 65%, and the emissions are a very low 0.8 grams for every kilo of wood. There are optional extras including a zero clearance kit and chimney kit. The Berwick is conveniently sized inbuilt wood heater that comes with contemporary styling. It is capable of heating about 180 square metres of space and comes with a two-speed fan. This fireplace comes with single rod draft control and an airwash system as well. The emission rating is at a low 1.3 grams per kilogram of wood used. Optional extras for this model include a zero clearance kit, steel baffles and cast iron liners. A single storey chimney kit is also available for a price, including installation.